It’s never been more obvious that Greece has been sold out to the banks. Like many countries before, their nation has been scheduled to endure poverty and chaos, followed by a firesale of their assets. The latest evidence of their nation’s capture by the banks, is the selling of their numerous islands to wealthy buyers. Of course, the value of these islands is hardly enough to pay down their massive debt, and that’s kind of the point. When the banks own your country, they’re not interested in liberating you from your financial slavery. Before you ever get around to repaying those debts, or defaulting, they’ll use austerity to bring your country to the brink of chaos, and buy up everything for pennies on the dollar, and make a handsome profit as the country recovers on their terms. 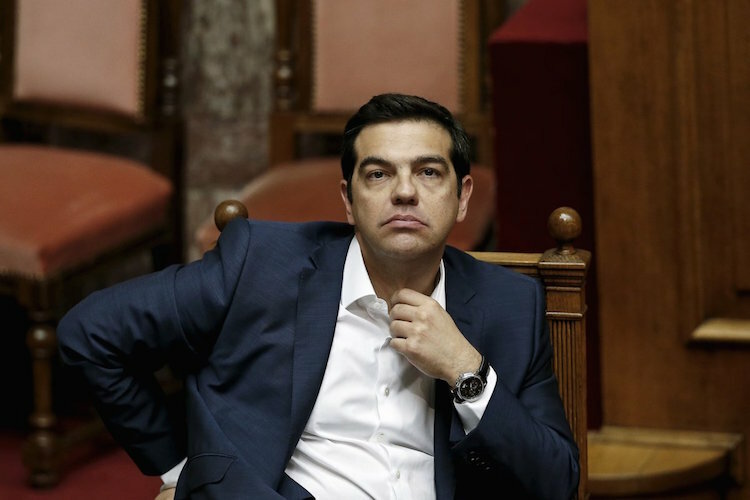 Prime Minister Tsipras has sold out to these financial interests; and the firesale of all Greek assets, not just their paltry islands, is well on its way. ATHENS – On July 12, the summit of eurozone leaders dictated its terms of surrender to Greek Prime Minister Alexis Tsipras, who, terrified by the alternatives, accepted all of them. One of those terms concerned the disposition of Greece’s remaining public assets. Eurozone leaders demanded that Greek public assets be transferred to a Treuhand-like fund – a fire-sale vehicle similar to the one used after the fall of the Berlin Wall to privatize quickly, at great financial loss, and with devastating effects on employment all of the vanishing East German state’s public property. This Greek Treuhand would be based in – wait for it – Luxembourg, and would be run by an outfit overseen by Germany’s finance minister, Wolfgang Schäuble, the author of the scheme. It would complete the fire sales within three years. But, whereas the work of the original Treuhand was accompanied by massive West German investment in infrastructure and large-scale social transfers to the East German population, the people of Greece would receive no corresponding benefit of any sort. This is how the sovereignty and prosperity of a nation is sucked away by the financial elites of the world. But Greece isn’t the only bank owned nation. The USI (United States Incorporated) has been thoroughly captured by the banking class, and once its usefulness as a war-fighting machine is finished; austerity, riots, and firesales won’t be far behind.